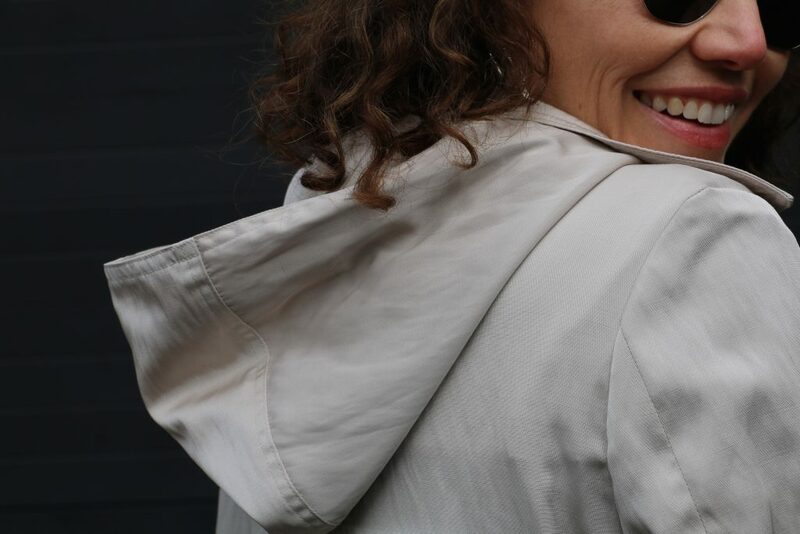 Sydney has the Sydney Jacket and now it’s Melbourne’s turn. 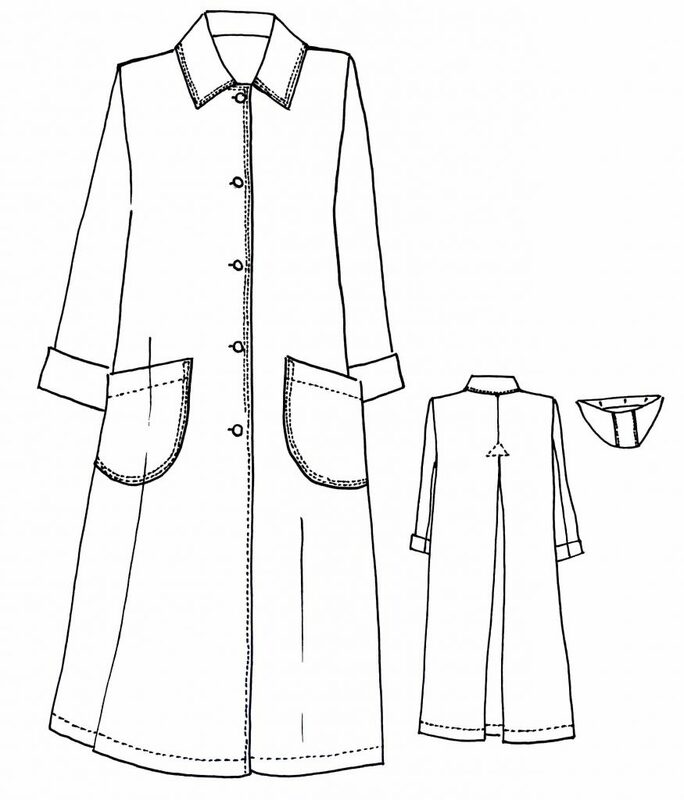 Meet our latest pattern – the Melbourne Trench Coat! 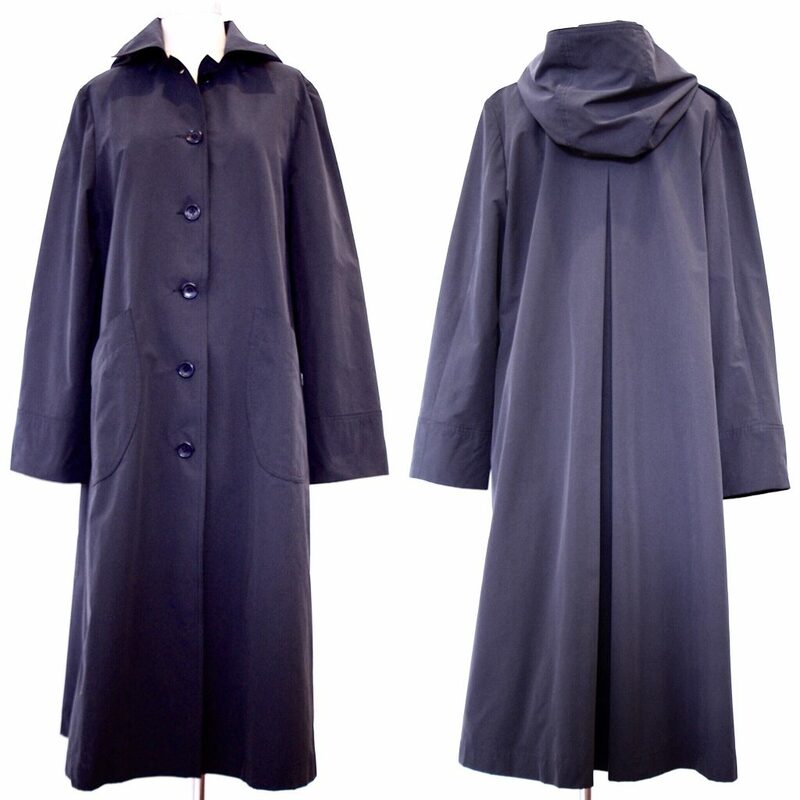 This single-breasted trench coat is unlined and features a button-through opening, inverted back pleat, curved patch pockets, collar and detachable hood. 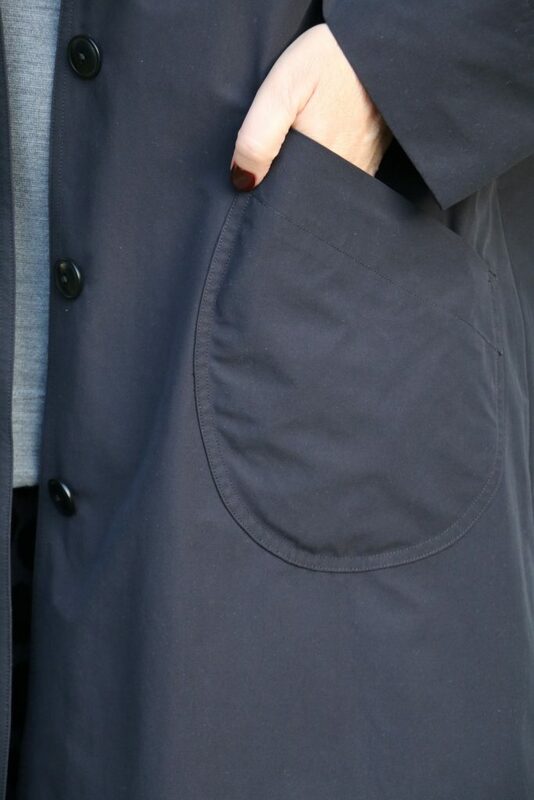 The Melbourne Trench has been designed as the perfect trans-seasonal garment. We took great care in giving it all the hallmarks of a classic style that’ll last for years and years. We particularly love the a-line silhouette which, when combined with the inverted back pleat, gives the coat a gorgeous swing. 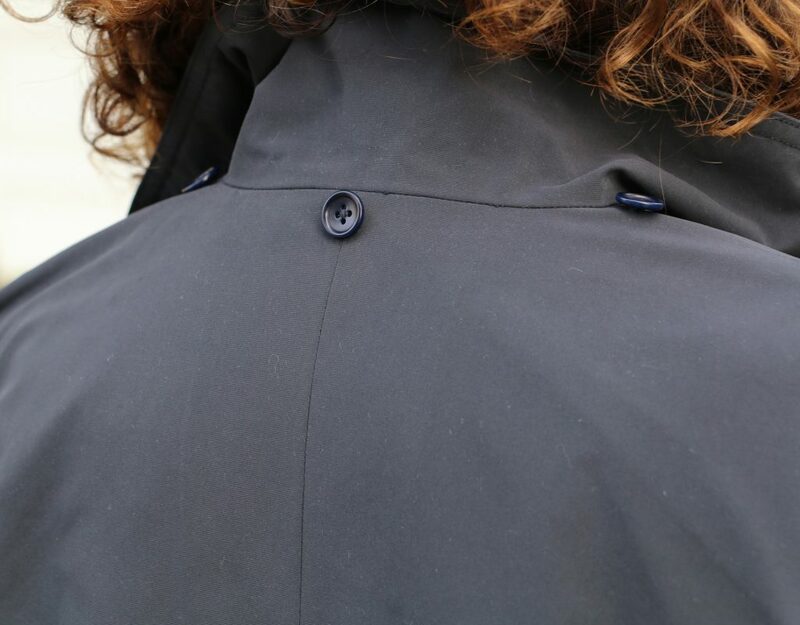 The lined hood is entirely detachable by a row of five buttons., giving you the option to wear it with or without. 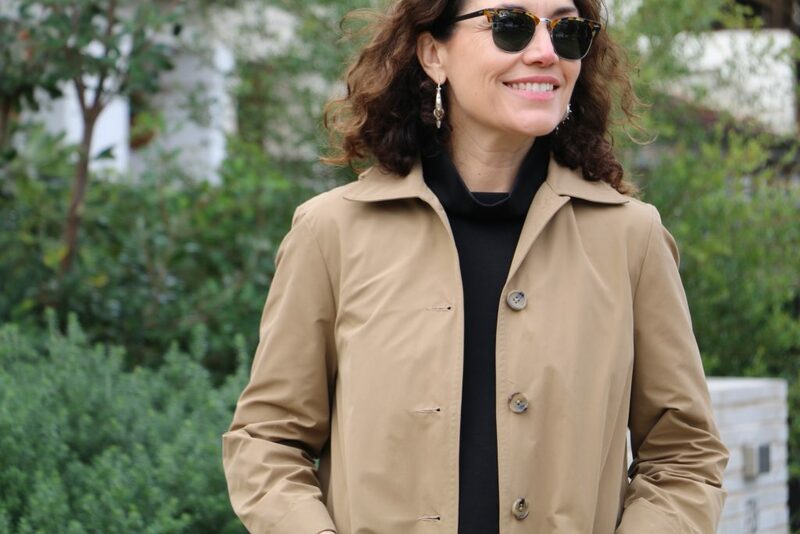 Suitable fabrics for the Melbourne Trench include water-resistant polyester, nylon, medium weight wool and wool crepe, firm cotton and cotton blends. 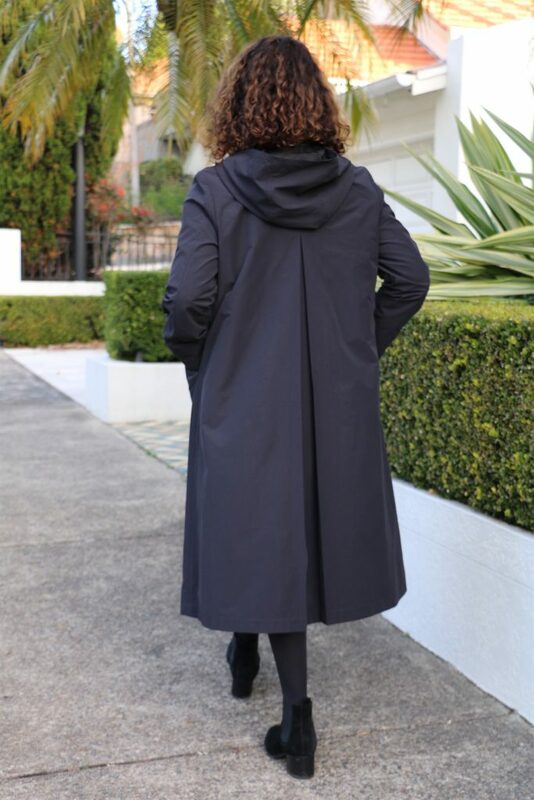 The Melbourne Trench Coat is now available in (Australian) sizes 6 through to 16. All sizes are included in the pattern. You can download the PDF print-at-home/print copy shop version online or purchase a hard copy (for a limited time) online and in-store. Very, very chic!!! Like it very much. Your black wool made up beautifully and was a hit in Bonn!! THANK YOU!!!!! Really nice. I’m tempted, although I’m wary of Tessuti’s drafting, particularly at the shoulder/neckline. And I really dislike the hand-drawn approach to the patterns. What a waste. I might just copy it! Very pretty. Yes yes yes. This is exactly what I am looking for. Heading to your website RIGHT NOW. Will you be making the pattern in sizes larger than 16?